This week I will be going into the history of a particularly exciting and robust style of beer, the Russian Imperial Stout. Along with the history and characteristics of the style I will review several commercial examples. 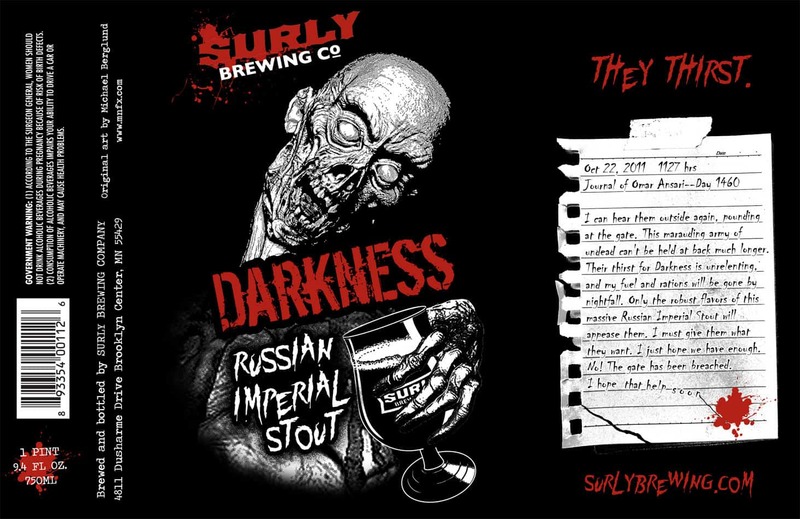 My inspiration behind this post is the upcoming release of one of the most sought after beers in Minnesota (and the craft beer community in general) Surly Brewing’s Darkness, which just happens to be a Russian Imperial Stout. I will talk a bit about the beer, the hype behind it and will hopefully be reviewing this year’s Darkness in the next week. Have a great week and I’ll see you on Thursday! Posted in Updates and tagged beer reviews, craft beer, russsian imperial stout, surly darkness. Bookmark the permalink.